Sad to say, today’s workers are likely more desperate than they’ve been in years. With the United States unemployment rate at 9.6% (as of June 2010 according to the US Bureau of Labor Statistics), which is around the highest it’s been in the past two decades, there is more competition for a fewer number of jobs. This competition increases the ever-present temptation to misrepresent information on a resume, stretch the truth in a job interview, hide incriminating records, or outright lie to a prospective employer in order to get the job. Today’s economy makes employee background checks ever more important. Think about it this way: Organizations rely on the integrity of their people to maintain a safe, productive workforce. Likewise, they rely on qualified individuals to perform their duties in a productive and cost-effective manner. These goals are not likely to be met by people who misrepresent themselves in the pre-employment process. 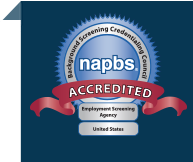 When it comes to verifying the backgrounds of your employees and building a safer and more qualified workforce, pre employment screening plays an important role. At Proforma Screening we find that 1 out of every 10 people we screen has some sort of problem — criminal, alcohol, or other related issue. At least 20% have “resume boosting” issues ranging from misrepresentations to complete falsifications. The average negligent hiring claim is $3 million and employers, unfortunately, lose the majority of these cases. Employee background checks, such as criminal records checks, employment verifications, personal searches, drug screening, and other background checks can confirm applicant claims, uncover past behaviors, and demonstrate the type of due diligence necessary to avoid negligent hiring. Today’s employers may feel that they have the pick of the litter when it comes to hiring new employees. With fewer jobs and more applicants it’s tempting to believe that the 10 Harvard graduates that have just applied for your open position really have the credentials they’ve claimed. In reality, employment screening is needed today, more than ever. If you’re unsure where to start, request a meeting with our experts. If you’re looking for the right partner to move your employee background checks in the right direction, we’re here to help.